The group’s culture provides structure and meaning to its members—in many ways it controls members’ interactions with one another and with external parties. In this post, this concept is applied in the Information Technology (IT) group setting. The IT group culture can influence the success of the IT organization. Culture is socially constructed through leaders that embed their beliefs, values and assumptions upon the group that it leads. 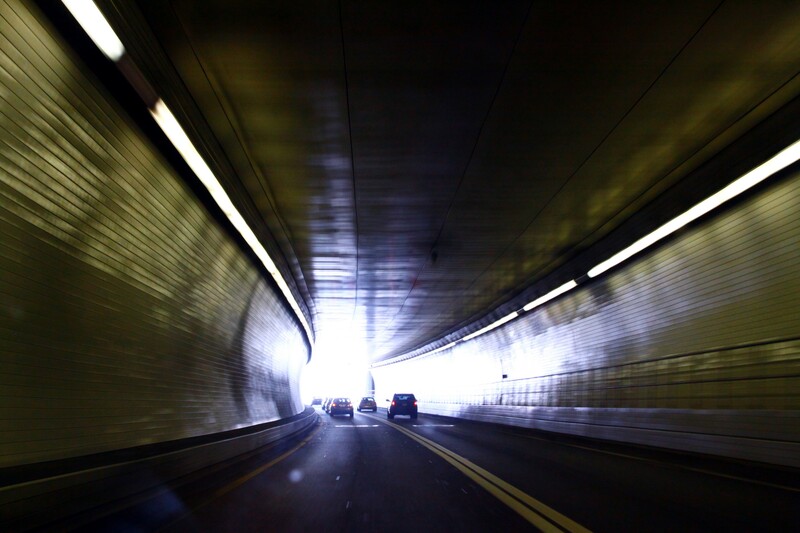 The culture of any IT organization is formulated and impacted by several variables. The strongest and the most obvious is the influence of its leader. According to E. H. Schein, leader’s primary embedding mechanism is seen in how they pay attention to, measure and control aspects of organization’s operations and decision making. They initiate great conversations that tie cultural norms to the organization’s goals. If the current culture is not aligned with the new realities, leaders need to be the catalyst to create new understanding and help individuals select new behaviors and, eventually, beliefs. Leaders must also define, clarify and reinforce understanding of the actions and beliefs that build the desired culture. Although performance measures presented in the leader’s reporting dashboard change from time to time, most of the leaders that I know only pay attention to a small set of key performance indicators. IT leaders rely on a subset of key measures that they believe is the best indicator of the overall performance of the organization. As an IT manager, you know what your CIO is looking at and controlling most of time. Your CIO gets your attention and tracks certain aspects of operations based on these key performance indicators. In some instances, the CIO will try to drill down and find more information about a perceived problem and base his request for action on this. The performance measures that IT leaders pay attention to, measure, and control on a regular basis dictate the importance given by the organization to a service, a problem or a project. It is but a natural tendency for managers, staff and different groups within IT to keep track of the performance measures that IT leaders are more attentive to. More likely, these people discuss these controls in daily IT operations meetings. Some will even set alarms so as to act swiftly on incidents before they become major problems. Performance measures and controls are powerful mechanisms that IT leaders use to forge a working culture based on what they think is important. How current are your departmental metrics? 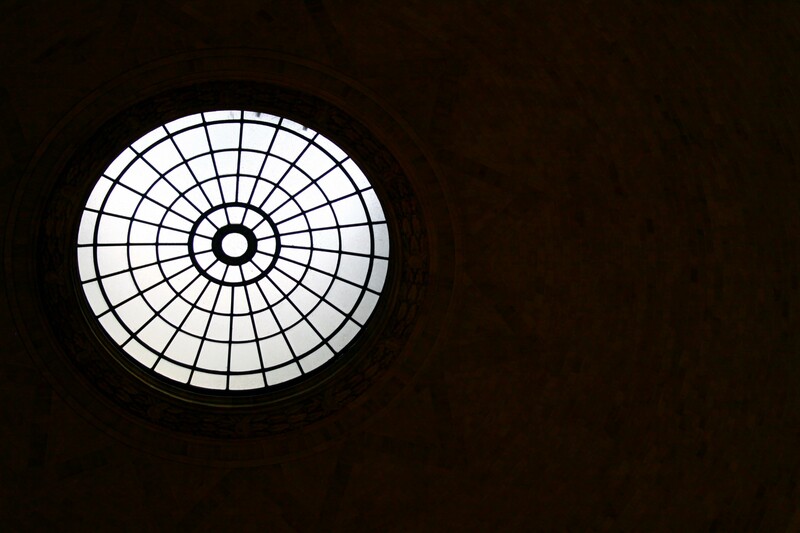 Do they measure against your current organizational objectives? Do they reflect the coming changes and help prepare your team for new ways of working? Companies in this day and age rely on an integrated set of digitized platforms and infrastructure to run and manage its business operations. When a critical IT incident occurs, it often impacts mission-critical systems and processes that affect business operations. These days, it is not hard to imagine how something like this can directly impair the ability of the company to serve its customers. These kinds of problems could unfavorably hurt the company’s profits and reputation in the short term. When a major IT incident disrupts most critical processes of the company, the credibility and reputation of the IT organization is heavily dependent on their perceived preparedness and responses during the situation. The CIO is at the forefront of disaster recovery measures and business continuity management and continues to work hand-in-hand with business managers. For mature IT groups, the planning, work and infrastructure that that is used to run disaster and business continuity situations are completed way before major incidents occur. Business continuity and disaster recovery is part of an organizational learning process. In the wake of a crisis, IT leaders adopt a learning orientation and use prior experience to develop new routines and behaviors that ultimately change the way the organization prepares and responds to crisis. The best leaders recognize this and are purposeful and skillful in finding the learning opportunities inherent in every crisis situation. Is your organization proactive about problem management, disaster recovery, and business continuity preparedness? What can you do to better build your team’s capabilities to manage critical incidents and crisis situations? IT leaders have control on the allocation of resources in the organization. This applies to operational and projects resource assignments. The CIO controls the budget allocation to key projects, resource assignment to operations areas, and the time IT members spend on certain initiatives. On the other hand, the CIO also controls how and where to slash resources during budget optimization. How leaders allocate the resources of the organization creates a natural signal to its members about their priorities and what they think creates more value to the company. His or her interpretation of the business strategy and the expectations of the company’s shareholders impact the leader’s decision making process. Resources mean money and time. Therefore, when the CIO decides on the operating and capital budget portfolio allotment, this provides managers an indication of where in the organization best efforts and priorities are expected. Another strong indication of the CIO’s priorities can be observed on how he spends time. To better understand the job of the CIO, Peter Weill, MIT profession and co-author of the book IT Savvy, examined how CIOs allocate their time. CIOs allocate time in four major areas: managing IT Services, working with non-IT colleagues, working with customers, and managing enterprise processes. Time allocation varies a lot because of individual management style but in most cases, where the CIO spends the most time sends a strong message. As an IT leader, examine how you spend your time. How do you think it impacts the desired cultural values of your organization? In what ways should you change your managerial regimens to better present, explain, and reinforce the desired culture? We all naturally know that leading by example is one of the most powerful ways of leadership, but ironically it’s often the most overlooked. As Mahatma Gandhi once said, “You must be the change you wish to see in the world.” The best way to create culture is to transmit culture. I think the most obvious ways to transmit culture is through teaching and coaching. IT managers and staff look up to their senior leaders for directions. Leaders should be engaged with IT operations but their engagement in it should not be limited to supervising and running operations but also guiding, teaching and coaching managers. Information Technology needs future-oriented leaders. Arguably, it is the most unpredictable and fast innovating area of the company. If the CIO is not forward looking, it can’t provide the business with a platform to continue to be competitive and at par with competitors who are relentlessly pursuing innovation. IT leaders are fascinated about the future. They are relentless about change and impatient for progress. CIOs are always looking forward to new technology and practices that are developing, looking for ways of plotting a course of new processes, tools and methodologies and experimenting how it will make sense in business in the future. How many types of developmental conversations occur in your organization? How can you create a culture of learning that goes beyond traditional classroom training? In what ways do your communication tools and practices help build your team’s skills for participating in conversations about goals, changes, and barriers they face? What can you do to better build your team’s capabilities for participating in transformative conversations? Is learning embraced at all levels? The values and priorities of the IT leader- may it be the CIO, CTO, IT VP or IT Director— are reflected in the culture of the information technology (IT) organization. This is true also for other organizations, big or small, that has its members working together for some time. A positive organizational culture reinforces the core beliefs and behaviors that a leader desires while weakening the values and actions the leader rejects (Kaufman 2002). A negative culture becomes toxic, poisoning the life of the organization and hindering any future potential for growth. Obviously, there is an inevitable bridge joining organizational culture and the level of success it enjoys (Peters and Waterman 1982). Shared Services is the convergence of a company’s essential business functions to an internal service provider as opposed to outsourcing it. Shared Services Organizations (SSO) or Shared Service Centers (SSC), as they are often called, ensure the delivery of required services to the business as effectively and efficiently as possible. The most common business support functions integrated to Shared Services are Human Resources, IT, Finance, Procurement, Office Services and Legal. Shared Service is more than just centralization and is different from outsourcing (or the use of an external third party). Some successful Shared Services Organizations are managed as a business — providing efficient and effective services at a cost and quality better than other alternatives. Traditionally, the development of a Shared Services group within an organization was a result of the need for cost reduction through economies of scale, centralization and standardization of processes. Businesses nowadays drive even more value creation from its Shared Services out of other functions like process management, knowledge management, product and service innovation, customer solutions, project and portfolio management, and business performance solutions among others. This allows the business to focus on its core activities. Most Shared Services Organizations rely on an integrated set of electronic business processes, technology and IT applications — usually anchored in a major piece of enterprise resource planning software. This integrated business system standardize and automate Shared Services processes, thereby increasing reliability, decreasing operational cost, and ensuring quality. Shared Services implementation entails significant executive management sponsorship to carry out needed process and organizational transformation as its implementation may require changes in processes, roles and work practices. Shared Services make use of Service Level Agreements (SLA) to establish an accord with internal customers. SLA quantifies the target quantity, quality, and cost of services in a period of time. Shared Services make use of benchmarking and measurement of strategic, tactical and operative key performance indicators to drive performance improvement. 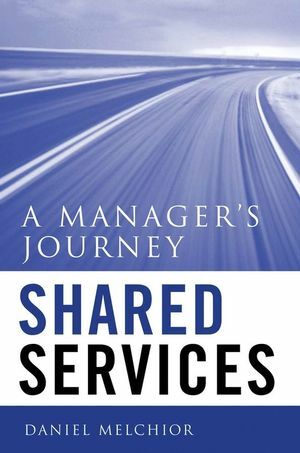 If you are looking for a book about Shared Services, I would recommmend Shared Services: A Manager’s Journey By Daniel C. Melchior. This book is a fantastic and a very enjoyable read with its unique story-like style. The dialogue between the characters explains many concepts and allows readers to understand why take certain decisions. It presents the realities of living the journey of implementing a shared services organization. It provides excellent insights into the methodology behind managing day-to-day Shared Services operations. If you are interested in learning more about Shared Services and want to collaborate with other Shared Services professionals, you can visit www.ssonetwork.com. It is the website of the Shared Services and Outsourcing Network (SSON), the largest and most established community of shared services and outsourcing professionals. SSON provides a lot of references, tools and collaboration opportunities on Shared Services and many other related to it. I am a monthly contributor to SSON.